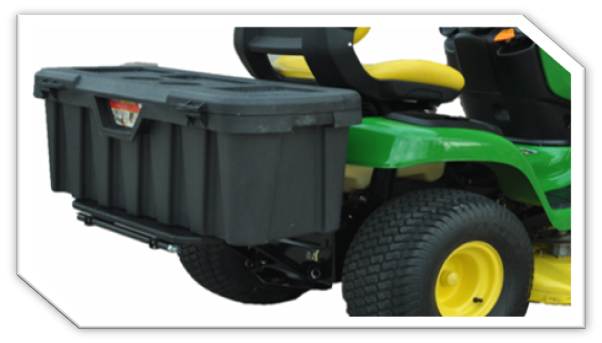 Load capacity: Depends on the Mower chassis construction, normally about 120 lbs. Features: quick-connect design uses hitch pins for hook-up to your mower. Once removed, the platform folds up and hangs on the wall or in a cabinet. Comes with platform and all brackets, connections, and hardware needed for attachment. Why did you buy your riding lawnmower? I’ve been in the industry for years. And I’ve asked thousands of people. Most people value the reliability and convenience of the mower most. But the biggest reason they value it so highly? 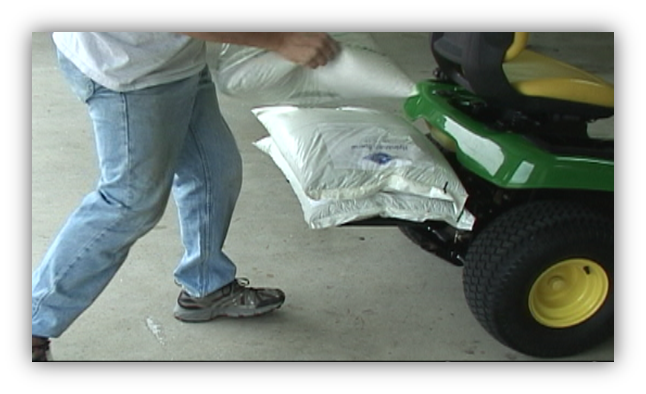 Most mowers can bag, mulch, and discharge. They can haul stuff, scrape, spray, drag, tow, and attach. Another common name for a riding mower is “lawn tractor”. And that’s exactly what they are. A mini-tractor that’s invaluable to a property owner for doing just about anything around the house. LET’S PUT THAT THING TO USE! It’s just common sense to capitalize on your investment. You spent good, hard-earned money right? 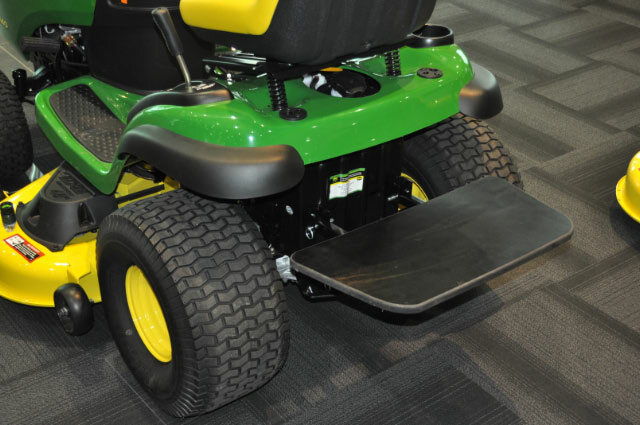 Introducing the MowerBoss Platform – it truly is the only universal platform on the market. b) quickly make you go broke! And of course, the platform also servers as a handy shelf for transporting items as far as your mower will drive. Most of our customers can easily manage the fit-up and installation process.